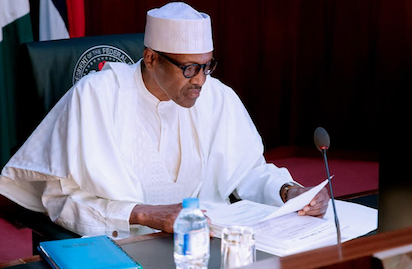 The Muslim Students’ Society of Nigeria, Lagos State Area Unit lamented the state of the nation calling on President Muhammadu Buhari led government to show real accomplishment as 2018 winds up. The Amir of the group while unveiling the 104th Islamic vacation course holding in Epe between December 23, 2017 and January 1, 2018, said government needed to remain focused and avoid distractions. “We are tired of efforts and predictions, we want accomplishments. We want to start having the real feeling of development. We really want to stop hoping with real development and growth of the country. We are fed up with ‘white paper’ development without a corresponding comfort in both the standard and cost of living. We charge the government of the day to utilise the numerous resources of the country to secure a decent life for the citizenry. On the Plight of workers, the group noted that the current economic realities in Nigeria have made it inevitable for the government to hasten the process of reviewing upwards the salaries of workers, adding that the current minimum wage of N18,000 is no longer acceptable! On NASU/SSANU Strike, MSSN opined that the disparity caused by the Federal Government between members of the Academic Staff Union of University (ASUU), and Non-Academic Staff Union (NASU), Senior Staff Association of Nigeria University (SSANU) and National Association of Academic Technologists (NAAT) in regard to the earned allowance recently released was needless, embarrassing and not befitting for the country’s educational status. Meanwhile, the 104th Islamic Vacation Course, a annual camping programme of the group will hold at Human Capital Development Centre, Epe for Primary and Secondary School students, undergraduates, artisans, workers including any Muslim interested in advancing his/her knowledge spiritually, morally and academically. Ashafa said: “Islamic Vacation Course is consciously put together to build a generation of young ones that transform their society into a unique Cosmos. It is an occasion where children are trained in intellectualism and conscientiously prepared for leadership. Activities line up for the event include: Students’ mentoring, professional acculturation, leadership skill acquisition, networking and public health screening among others. “At the IVC, every participant is geared towards being forward looking so as to attain intellectual, moral and spiritual Independence. We urge all and sundry to register and participate in this edition with the theme “ In the Shade of the Qur’an” Whoever attends is bound to become a well-rounded personality. The post We’re tired of efforts, predictions, MSSN laments state of nation appeared first on Vanguard News.